Another day, another story about hundreds of animals falling dead overnight. This time, the animals are cows, and the location is Stockton, Wisconsin. On Friday, a farmer in rural Wisconsin went outside to check on the cows, only to find 200 of them dead for no apparent reason. Cue the ominous music. The worried farmer immediately called police, who sent in a team of vets to investigate. While the findings aren’t completely solid yet, the cows are believed to have died from an infectious disease, not of mystery trauma or some other weird cause of death. 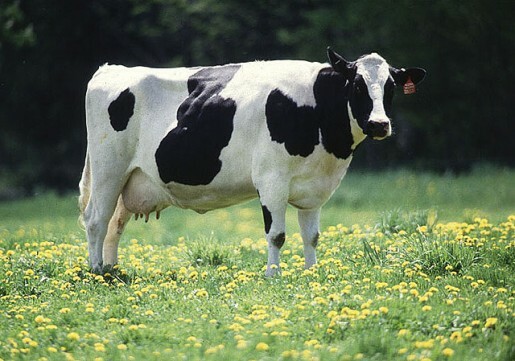 The cows, though they seemingly displayed no symptoms of sickness before falling over dead, are believed to have died due to one of two cow-centric diseases: Red Nose (or infectious bovine rhinotracheitis) or Bovine Virus Diarrhea. Neither one of those diseases sounds like a fun way to die, but you’d think they’d be noticable before the point of death, even in a cow. Maybe the farmer just was negligent in his duties? Either way, the incident is being investigated by the Portage County Humane Society.